Who, or what, is the Green Man, and why is this medieval image so present in our precarious modern times? 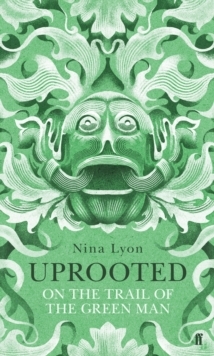 An encounter with the Green Man at an ancient Herefordshire church in the wake of catastrophic weather leads Nina Lyon into an exploration of how the foliate heads of Norman stonemasons have evolved into today’s cult symbols. The Green Man’s association with the pantheistic beliefs of Celtic Christianity and with contemporary neo-paganism, with the shamanic traditions of the Anglo-Saxons and as a figurehead for ecological movements sees various paths crossing into a picture that reveals the hidden meanings of twenty-first-century Britain. Against a shifting backdrop of mountains, forests, rivers and stone circles, a cult of the Green Man emerges, manifesting itself in unexpected ways. Priests and philosophers, artists and shamans, morris dancers, folklorists and musicians offer stories about what the Green Man might mean and how he came into being. Meanwhile, in the woods strange things are happening, from an overgrown Welsh railway line to leafy London suburbia. Uprooted is a timely, provocative and beautifully written account of this most enduring and recognisable of Britain’s folk images.